Welcome to Treat Worthy Pet Creations! 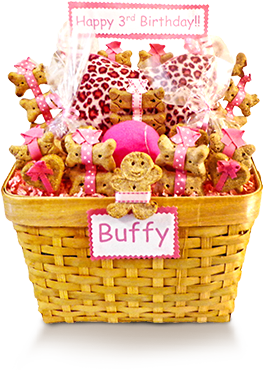 I make custom treat baskets for dogs, cats and ferrets for all occasions and holidays! The treats used are all natural and organic and made in the USA. So not only are my baskets fun and unique but they are healthy too! Does your pet have a special diet or food allergy? I can customize for most dietary needs including hypoallergenic and grain free! Please feel free to browse my shop and message me with any questions. Enjoy the shop! Thank you this was a perfect gift to celebrate HD Grete's 1st Birthday. Beautifully designed and created with love. Thank you would definitely use this shop again. Beautiful as always! I order one for each fur kids birthday and they are never disappointed! Thanks! This is super cute, and was packaged in a way that insured no broken biscuits. Exactly as pictured! Love it! Great service! Great gift idea!!! Totally personalized and delivered promptly!!! Love it!!!!!! Thank you so much! I would for sure order basket again she loved it A++ just adorable!